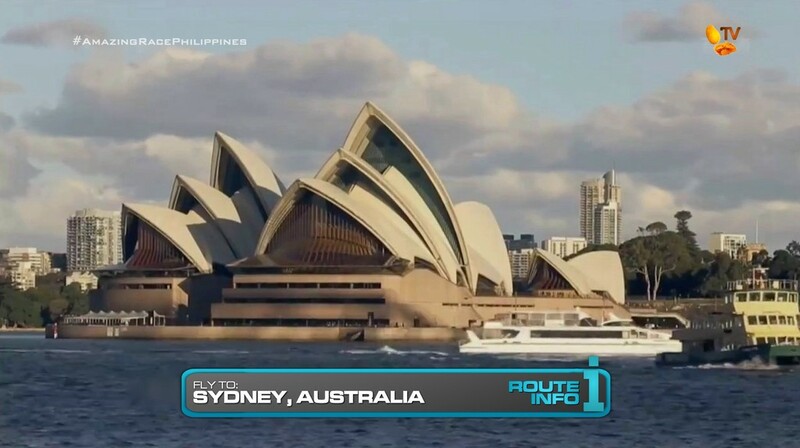 The next Leg of The Amazing Race Philippines begins as teams all hop on the same Korean Air flight via Incheon to Sydney, Australia! 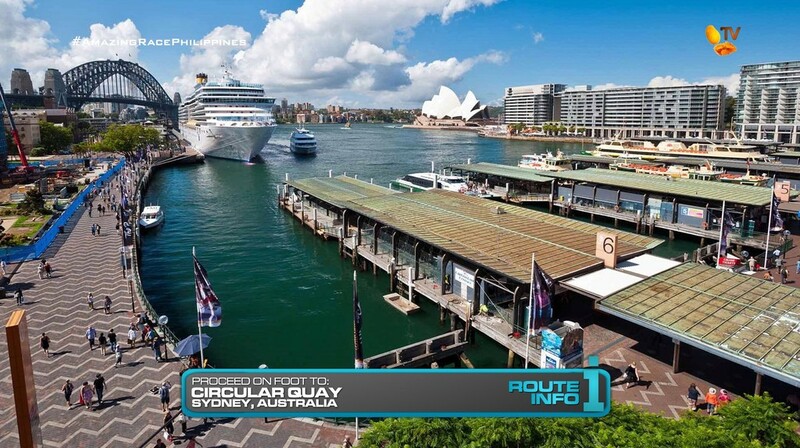 Arriving in Sydney at 6:15am, teams must make their way to Watsons Bay. 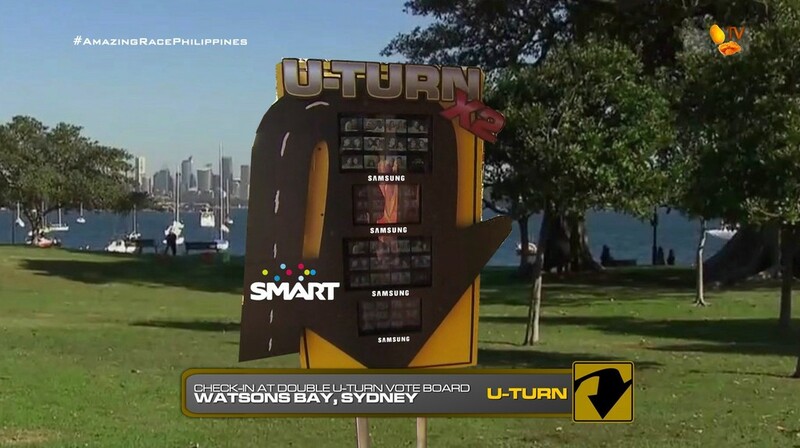 And here, teams will immediately find the FORCED Double U-Turn Vote Board. All teams MUST vote for TWO other teams to U-Turn. If they refuse to vote for one or two other teams, they will themselves incur one or two votes. 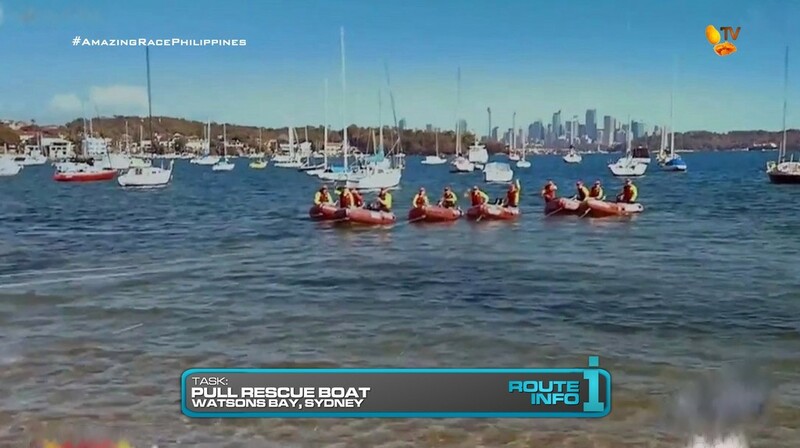 After checking in at the U-Turn, teams will choose a rubber rescue boat and pull it (and the coast guard officers inside) to shore. 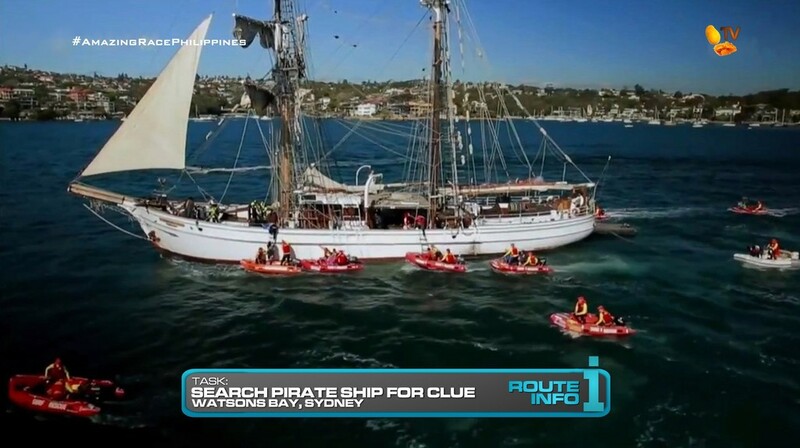 The boat will then take them to a pirate ship where they must search for their next clue in various places. 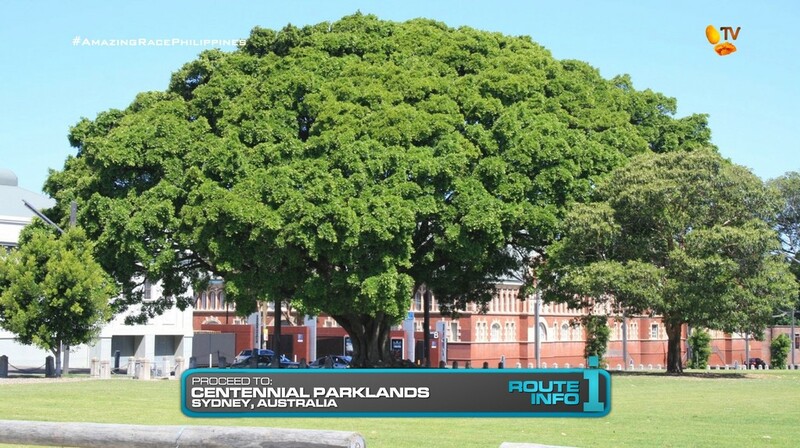 That clue points teams to Centennial Parklands where they will find the Detour: Watermelon Slide or Sleepy Sheep. In Watermelon Slide, teams will take part in an annual watermelon festival. One team member will put on watermelon shoes and grab onto a rope which their partner and a pro rugby player will use to pull them. If the team member is able to slide 130 feet down the slide without falling, they will receive their next clue. In Sleepy Sheep, teams must catch three sheep and cover their eyes with cowboy hats. Once all three sheep stay calm together for three seconds, teams will get their next clue. 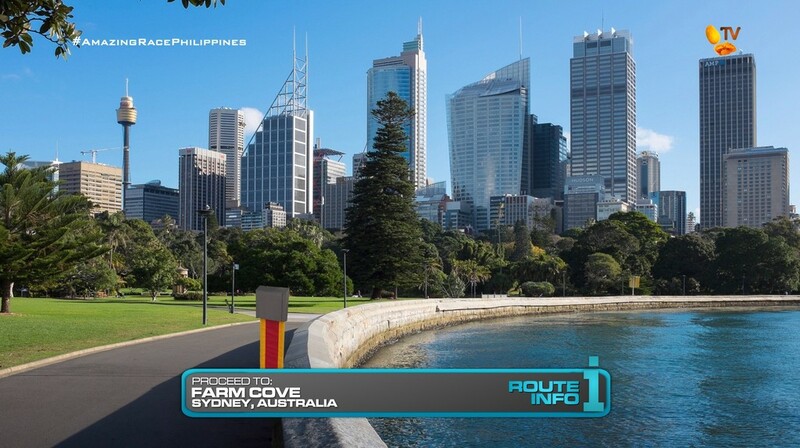 Teams will receive the next clue pointing them to Farm Cove. BUT! 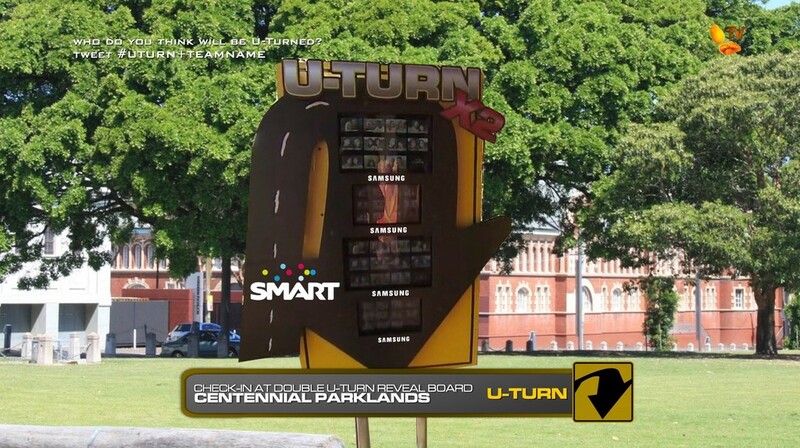 Teams must first check-in at the Double U-Turn Reveal Board. At Farm Cove, teams will find the Road Block: Who doesn’t feel caged? In this Road Block, teams will put on a diving suit and dive into a submerged cage. They must untie five knots which will release a key that will unlock the bottom of the cage. Once teams can swim out of the bottom of the cage and up to the surface, they will receive their next clue. 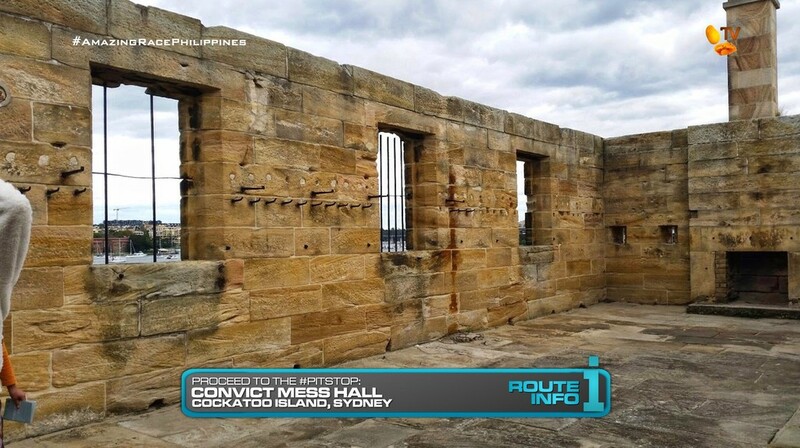 That clue tells teams to make their way on foot to Circular Quay where they can catch a ferry to the Pit Stop: Cockatoo Island. So this is basically TAR China 2‘s first Leg. And it was a great Leg, which is why I pretty much recycled the entire thing here. The pirate ship task at the beginning of the Leg is a good first Route Marker activity. 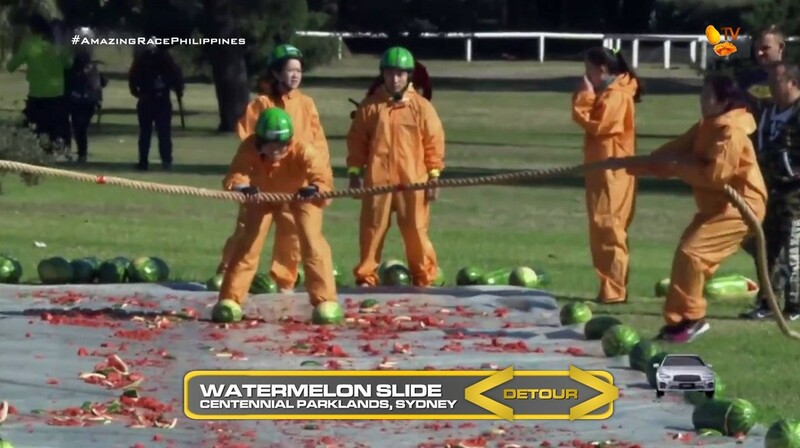 The watermelon side of the Detour might have been one of the most creative tasks I’ve seen on any recent TAR. It was so absurd and awesome. It’s a very physical task as well. And on the sheep side, also a hilariously absurd task, any time teams have to try and catch animals is great. So why not keep that here. Plus, with the Detours in the same area, it’s a good spot for a U-Turn. For a Celebrity Edition, they might not be so willing to U-Turn other teams for fear of the wrath of fans. So, we will just have to force them to U-Turn someone. TWO someones at that! Hehe. 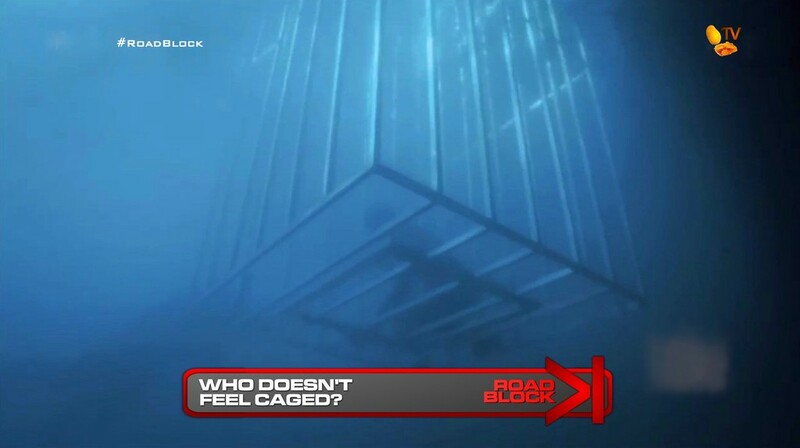 The cage Road Block was also awesome. Very challenging. For here, there needs to be more than one cage, of course. There should at least be 3 or 4 so that teams aren’t waiting in line so long. That will make this Leg too linear. 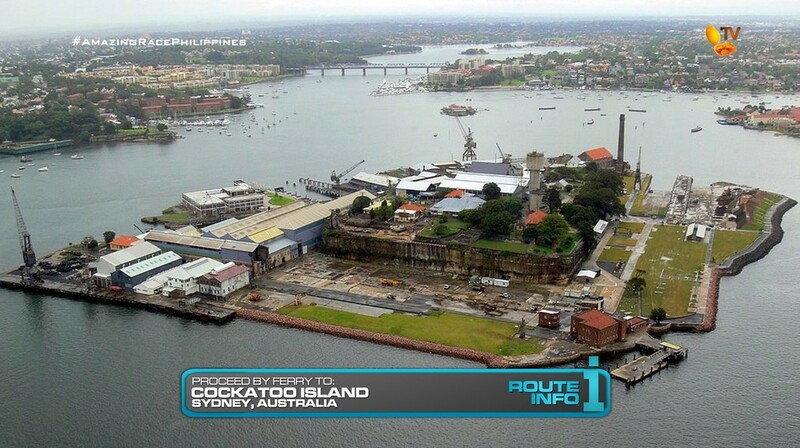 And for the final clue, having teams searching for the Mat at Cockatoo Island, like other opportunities before, should help provide some interesting drama at the end of the Leg, especially if teams are riding the same ferry together. We might see several footraces. With 11 teams running this Leg, it should be pretty crazy and definitely a very full Leg as well.